As a graduate of Wright State University you have access to a valuable network of Dayton and Lake Campus alumni who continue to be influential leaders in their professional roles. 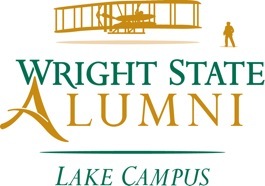 The Lake Campus Alumni and the Wright State University Alumni are here to help you stay connected to your fellow graduates and to provide events and opportunities to enhance your professional skill-set. In addition to Lake Campus and Wright State University Alumni opportunities, you can also stay connected with the campus community through our social media platforms. With your help, we will continue to grow our student and alumni network, in-turn creating a lasting impact for future Lake Campus students. Keep in mind that you don’t have to be a Lake Campus alumnus to become involved with our mission! We are a campus that was founded by the community, for the community, and we remain steadfast in that mission. If we have not yet met you – come say hello! For those that we have met – please, stay connected! With your help, we will continue to do great things at the Lake!